You will need to apply for a China student visa before coming to study Chinese at LTL. As a fully accredited Chinese language school, LTL can issue study visa invitations for the whole duration of your course in China. The process of applying for a Chinese visa is different in every Chinese consulate and embassy. It will also depend on your nationality, the country you live in and your previous Chinese visa history. The Chinese visa application process if famously opaque and even official information given by government authorities often is incorrect or outdated. However, we at LTL have many years of experience in providing visa support and will guide you through the process. Visas for China are quite complex and it is important to pay attention when organizing them. The bureaucracy is often very inefficient. However as long as you study at an accredited Mandarin school like LTL, the authorities welcome foreign students to the People’s Republic of China and you will be able to get a visa for your course. We have had more than 3000 students learning Mandarin at LTL so far and only one couldn’t come to China because of visa issues and that was because he left applying for the visa until the last week and did not follow our advice on how to do it. The other 2999+ all got theirs. Once you book your Chinese course with us, we will ask you to send us a copy of your passport and will then issue your visa invitation documents. Which kind of visa you should apply for will depend on how long you are coming to China for, your nationality and which embassy you are planning to apply at. We have tried to answer the most common visa related questions in our FAQ section below. If you want your Chinese visa to be valid a bit longer than your course to travel around China, it is possible to organize this. Do I need the original visa invitation documents? Each Chinese consulate decides itself whether to require originals to apply for a visa or not. This can change at any time and is often different even for each individual Chinese consulate in the same country. You can give them a call and ask, though be prepared that what you will be told on the phone might not always be what you will be asked to do when applying. However, we have had thousands of students apply for visas at hundreds of different consulates in the world, so your student advisor will be able to let you know what they required from other LTL students who applied there in the past. How much does it cost to send originals via DHL? This depends on where you live. We will pre-pay the DHL fees for you and you can pay for them once you arrived at our school. How long does it take for originals to arrive? This depends on where you live, but usually a DHL delivery arrives within one to three days after it was sent. This depends very much on the embassy you are applying at. Some offer 24 hour express rush service, while others can take up to a week or longer. It’s always a good idea to apply early to avoid potential problems. Also remember that for example a 24 hour rush service doesn’t mean that the embassy is obliged to process your visa application within a day. If they have any questions or are just very busy that day it might still take longer, so always try to give yourself as much extra time as possible. How long in advance can I apply for a visa? This depends on the embassy, however in most Chinese embassies you will only be allowed to apply for a Chinese visa three months before your planned arrival in China. How long does it take LTL to issue visa invitations? Once you booked your course we can have your visa invitations ready within less than a working day. While we appreciate being given a bit more time, if you booked a course on very short notice we can have them also ready within about an hour. Customer service is very important for us and we can process a booking, issue visa documents and get them to you very quickly if you are in a rush. However, visa documents can only be issued during working hours in China as otherwise the necessary documents are not available. So make sure you keep time differences and Chinese holidays in mind when planning. Are visas issued for specific dates? While you will apply for specific travel dates, your visa will not be issued for those specific dates. Your visa will be for a duration (for example 180 days) and you will be allowed to remain for that duration in China after entering the country. It usually also includes a date by when you have to come to China for the visa to be valid. Usually you are required to enter China within three months after you received your visa for it to be valid. What is a visa application center? Many Chinese embassies have outsourced the first steps of the visa application process to private companies that run visa application centers. This means that you might not be going to the embassy to apply for your visa, but instead to a visa application center who will check your documents and then pass them on to the embassy. Unfortunately, sometimes visa application center staff are not that familiar with visa rules and if you have the option to do so we always recommend to apply directly at the embassy. What does the visa application form look like? This is the general Chinese visa application form, though the consulate you will apply at might have a slightly different template, so we recommend you to download it from their website. Visa application costs at the embassy vary a lot from country to country and can also frequently change. The embassy will be able to tell you. The money they will charge you is one of the few things that Chinese embassies usually communicate very well and transparently. Should I use a visa agency? Not all countries have good Chinese visa agencies so if there isn’t one in your country then do not bother. However, if there is an experienced and reliable Chinese visa agency in your country, it is usually a good idea to use them. Chinese embassies are in general very unreliable at communicating what exactly is needed at the moment to apply for a visa. An experienced Chinese visa agency knows what the current situation is at your local consulate and can advise you in advance which additional documents might be required and how to get them. An embassy might ask you to provide your travel and health insurance documents, flight bookings or any other kind of stuff they might come up with – or nothing at all. It all depends on the visa officer. This is different at each consulate, frequently changes and is usually not published anywhere. However, a good visa agency will know, as they apply for Chinese students visas every day and are familiar with what visa officers currently want. Having a visa agency check your documents before applying can often save you several wasted trips to the application center. At some embassies visa agencies also receive preferential treatment and can apply for visas faster and with fewer documents required than for people who apply themselves. Does everyone traveling to China need a visa? Citizens of Japan, Singapore and Mongolia can receive a 15 day visa on arrival. All others need to have a visa before boarding a plane to China. Do not try to fly to China without a visa as they will not let you in. The only exception is a transit visa which you can get at some Chinese airports on arrival, however you need an onwards flight booked to another country. Depending on the airport, Chinese transit visas are issued for different durations, though never for more than three days, so this is not suitable for a Chinese course in Beijing, Shanghai, Chinese immersion or gap year program. Do I need an accommodation booking? Yes at most embassies you will need to show an accommodation booking for your intended stay in China. Chinese embassies have very specific requirements on what an accommodation confirmation should look like and the ones issued by hotels, Airbnb or private landlords are often not accepted. For that reason an accommodation confirmation will always already be included in your China student visa invitation documents from LTL. Can I get a visa invitation if I am not a student at LTL? No, of course you cannot. What about Mandarin studying part time? The Chinese authorities only issue study visas for students who learn Mandarin full time. It is not possible to come to China on a student visa if you only learn Mandarin for a few hours a week. To classify as a full time Chinese language student, you will have to take at least 10 hours of individual or 20 hours of group classes per week. Are there people who study Chinese while on a tourist visa? Yes many people who are on a tourist (L) visa also learn Mandarin. L stands for “lüyou” in Chinese (travel). 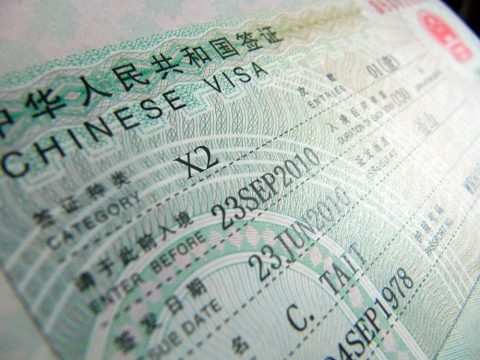 What is a Chinese study visa called? A Chinese study visa is called an X visa. X stands for “xué xí” (study). There are many other kinds of visa, like F visas for business or cultural visits, S visas for visiting relatives and so on. Sometimes an embassy might issue you a random kind of visa that you didn’t actually apply for. Usually this is not a problem though, but do ask us if you were given something that looks a bit strange. We have no idea why, but in our experience especially Chinese consulates in Russia have a tendency to issue the wrong kind of visas. Who is responsible for applying for my visa? You are. We have many years of experience in supporting students to apply for visas, can provide you with the needed documents, give advice on where to apply, how to fill out the application forms and so forth. However, even though we would like to, we are not authorized to apply for a Chinese visa on your behalf. This means only you yourself can apply or authorize a Chinese visa agency to do so for you. You are the one who will receive your passport back from the embassy and therefore are also responsible to make sure you received the correct visa (Chinese embassies don’t always issue the kind of visa you applied for) and it is valid for your whole Mandarin course in China. If you are unsure or need advice, just email us a scan of the visa you received and we can check it for you. We are growing fast at LTL! We already have a presence in four Chinese cities and that will continue to grow. Opportunities are exciting and diverse, as is our team! Come and join us.